A great series of full featured price pointed chutes. 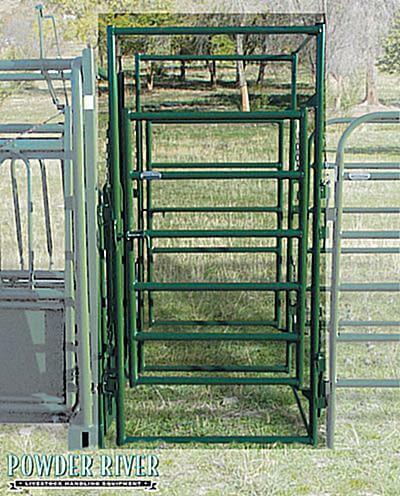 The 1500 Series Chutes from Powder River are a great option for those looking for a fully featured chute but needing to drop the price point a little. The 1500 series of chutes utilizes a chassis from the most successful chute Powder River ever designed. The innovative roll tailgate give an inexpensive but effective form of traffic control from the alleyway. The floor width is adjustable and the chutes squeeze from two sides keeping the cattle inside balanced and relaxed. (single sided squeezes push cattle off balance and cause panic.) All Powder river chutes in this series have a side release door on the squeeze.